3.6L V6 or 2.0L Turbo? 2-door or 4-door? Take your pick Jeep fans. 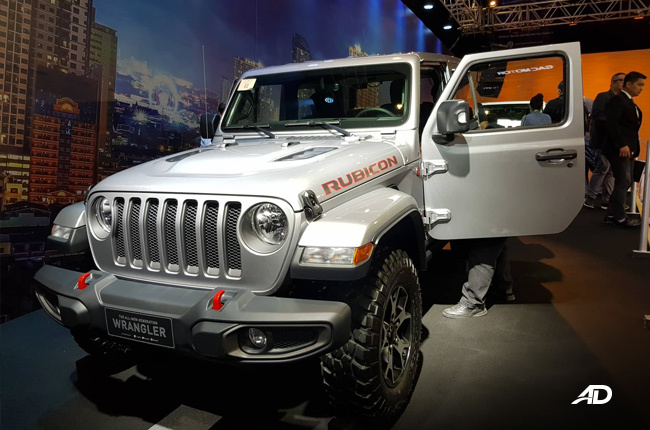 The 2019 Manila International Auto Show was the stomping ground for Jeep’s launch of the all-new Jeep Wrangler Rubicon. 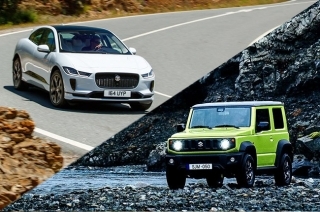 The Auto Nation Group’s brand launched its off-roading variant last April 6, 2019. The rugged Wrangler comes with a slew of new additions and improvements over its previous incarnation. Following the unveiling of the Wrangler Sport and Unlimited Sport, Jeep keeps its momentum going to give off-road savvy enthusiasts a new dedicated model for their hobby of choice. 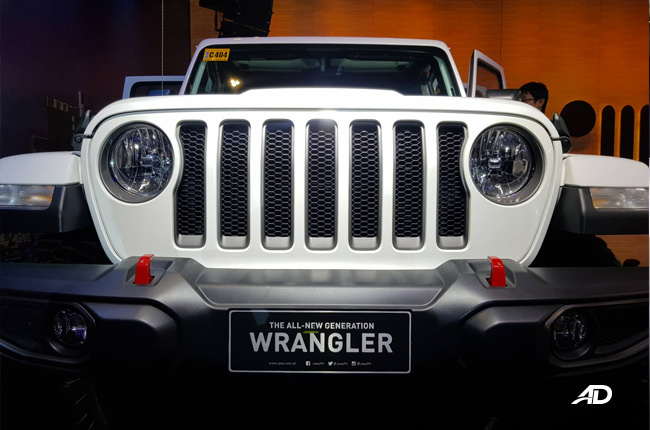 Sporting additions that modernize the tried and tested platform, the Wrangler Rubicon forges the old and iconic design cues with more future-oriented tweaks that exude contemporary design. Well sculpted lines and a muscular stance, the iconic seven slot grille that has been redesigned to be more aerodynamic, and lightweight aluminum body panels have been added as well. 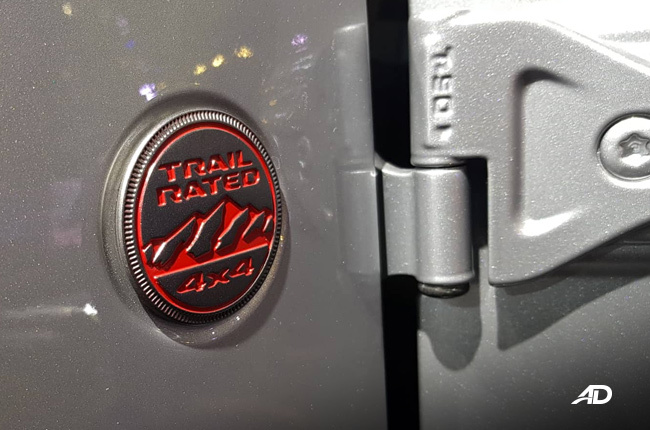 These are only some of the tweaks that FCA has made to its newest off-roader to bring it into the realm of modernity. The windshield can be folded down whilst retaining the side mirror. 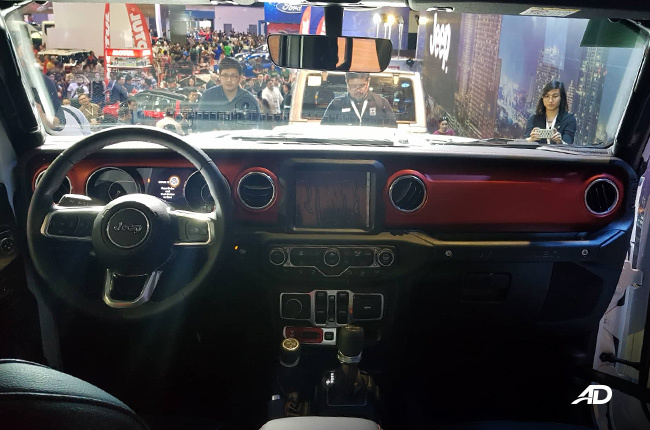 It also comes with an outside temperature gauge, front and rear fog lamps, body colored 3-piece hard top with body colored fender flares, and a GPS antenna for when you’re out in the wilderness taking your Jeep to its natural habitat. 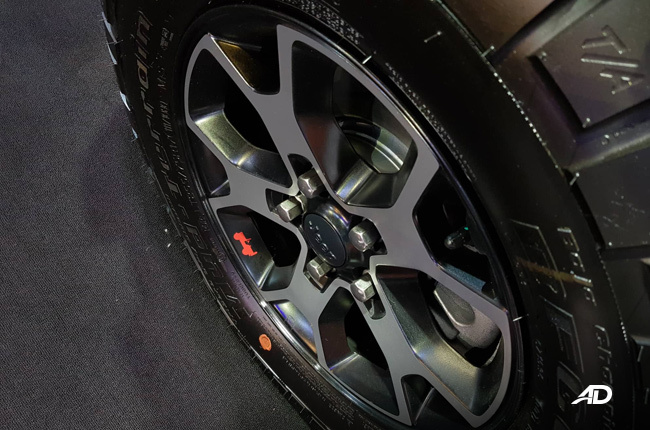 The 17 inch lightweight aluminum wheels are wrapped in light-terrain 255/75 R17C tires to keep this SUV capable and on grip on most surfaces. 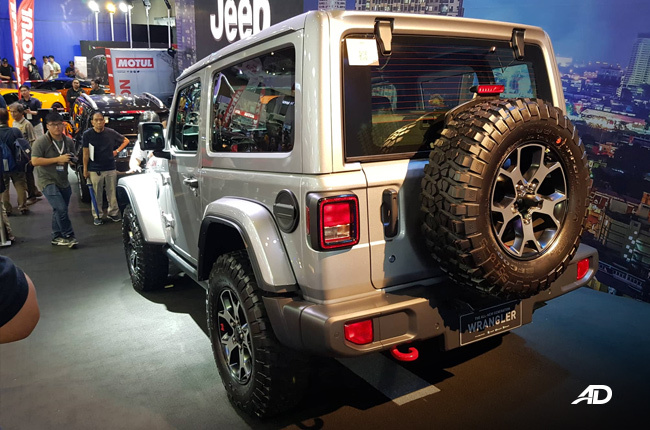 The wideness of the tires also gives the Rubicon a great stance that evokes a sense of masculinity and add to the imposing presence that the vehicle has. The interior is also modernized. Familiar yet new at the same time, intuitive technologies have been added such as the UConnect 4 system with NAV. The system hides behind a sizeable 8.4-inch touch screen display paired with both Apple CarPlay and Android Auto. To power almost anything, a 230V auxiliary power outlet is also coupled with the suite of electronic creature comforts in the vehicle. The inside is also adorned with high quality soft touch materials. 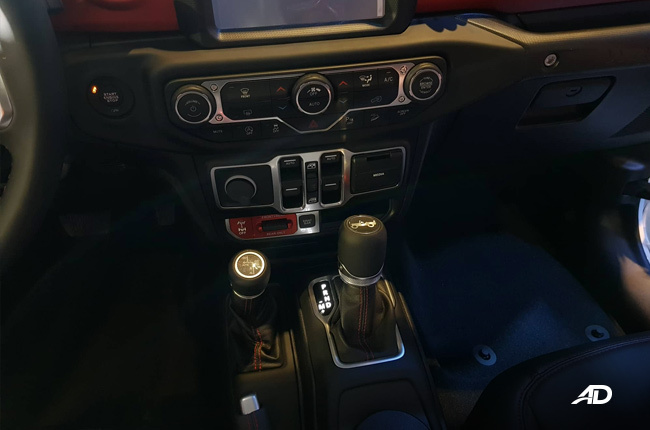 The new steering wheel and reconfigurable gauge cluster help the driver be in tune with the car whether on the road, in the city, or off the road and out of town. 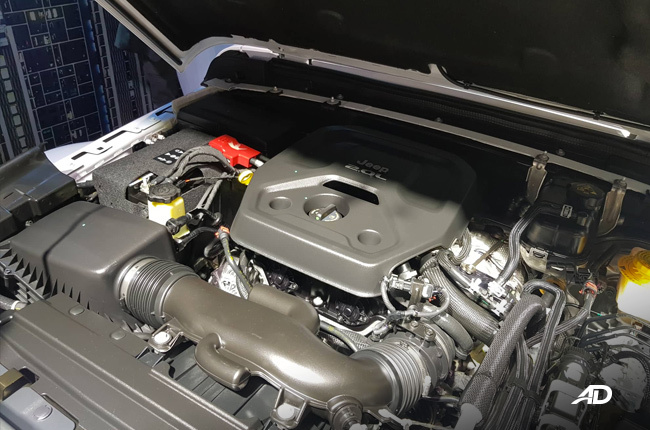 With the debut of the previous generation Wrangler, the 2.0L turbocharged motor from the regular Wrangler finds its way into the engine bay of the Rubicon variant. 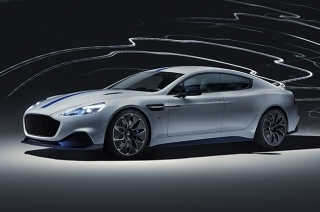 The turbo engine has 4-cylinders humming at 268hp with the ever important torque figure of 400 Nm. Take your pick with this new Rubicon variant, as modernists can enjoy the comparable figures of the Wrangler’s new and old engine. 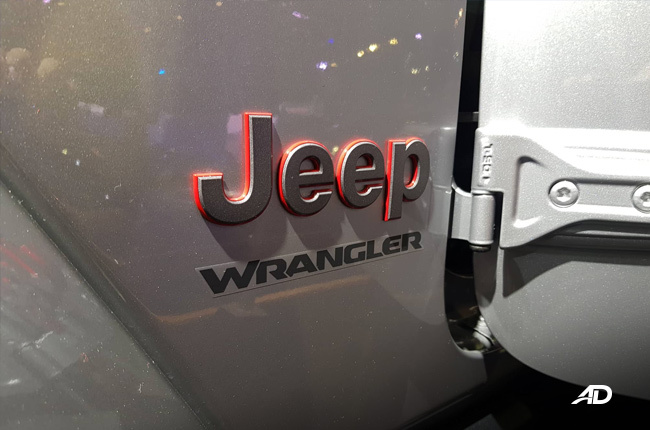 For purists, the Wrangler is also available with its ever traditional 3.6L Pentastar V6 that pushes 286hp and 353 Nm of torque. 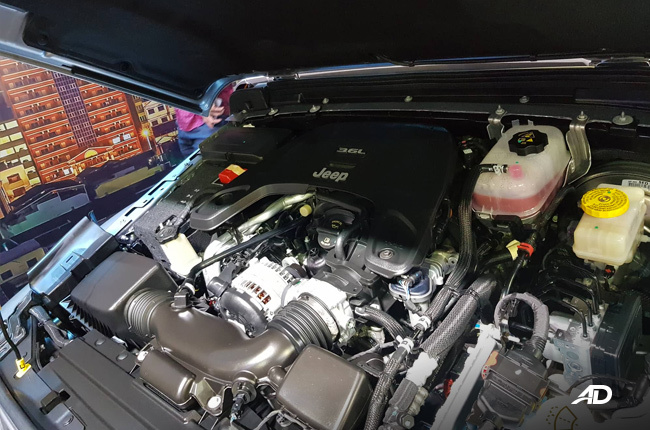 Both engines come with Jeep’s Engine Stop-Start technology (ESS). 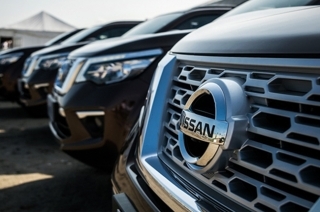 Keen on saving fuel, the technology automatically stops and restarts the engine during and after long idle times in order to boost fuel economy and efficiency. Both engines will course their power through an 8-speed automatic transmission that sends the power to all four wheels. The Rock-Trac 4x4 system incorporates a ‘4LO’ ratio of 4:1 and also features Tru-Lok locking differentials. Skid plates protect the underbelly of the vehicle, and front and rear tow-hooks colored in a bright red grace the body to aid adventurers in case they get stuck in a ditch. An all-new fascia is available with both front and rear off-road winch-ready bumpers and removable end caps for water fording and towing. A note has to be made on safety as well because Jeep has given its new model updates in this area as well. Seventy-five active and passive safety features are present on the new model. 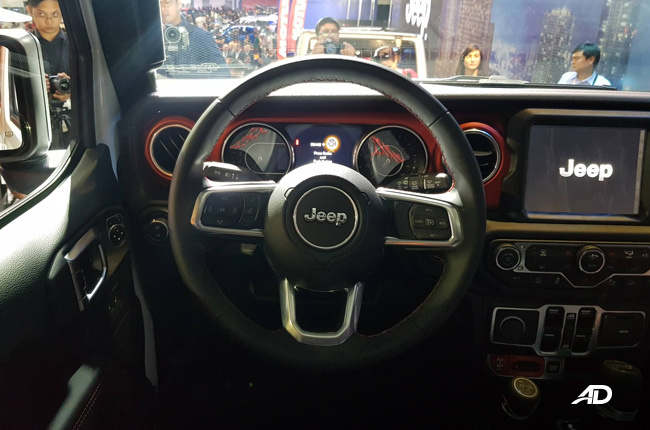 To name a few, blindspot monitoring, rear cross path detection, parkview rear backup camera with dynamic grid lines, electronic stability control and multiple airbags are only some of the additions that come with the Wrangler. 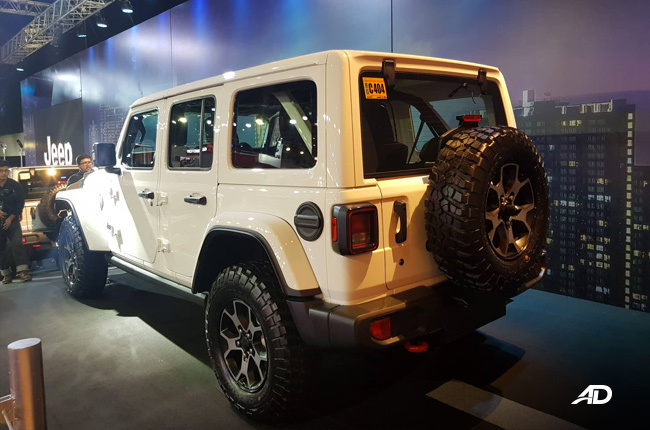 Starting at P3,990,000, and going all the way up to P4,490,000, the Jeep Wrangler Rubicon is available at all dealerships nationwide. Visit their showrooms at EDSA Greenhills, Alabang, Clark Pampanga, and Cebu to take a look at the newest model.